Hello loves and Happy Friday! I know that I am not alone when it comes to loving cream eye shadows! They are easy to apply, you need just one swipe and you’re good to go and they are the perfect base for your favorite powder shadows. There are many brands that do them these days, but my hands down favorite from the drugstore are the infamous Maybelline 24hr Color Tattoos. I have loads of shades from them but my favorite for this season is definitely Metallic Pomegranate (or Pomegranate Punk in the US). It is absolutely stunning and it has been keeping me great company recently. Metallic Pomegranate is a gorgeous burgundy red color with some brown undertones to it. The shade also has some beautiful golden shimmer running through it and I just adore how it catches the light and highlights the look. 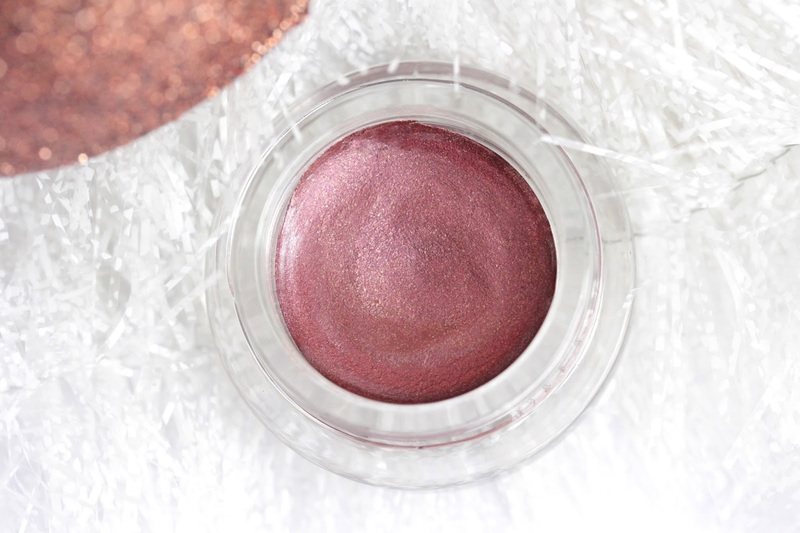 Metallic Pomegranate is a lovely cream eye shadow that could serve both as base or be worn on its own. I love swiping this across my lids when I’m in a hurry and just head out the door. This eye shadow deepens up the look and adds the perfect amount of color. It brings out my green eyes beautifully and it is so hustle free to use. I just pop some color on top of my lids, blend it out with my fingers and I am good to go. When I feel like spending more time getting ready, my favorite thing to do is apply some of my MAC Cranberry eye shadow, which makes the color more intense and deep. Both burgundy colors really compliment each other amazingly and they’ve been my go-to duo during the autumn/winter season. Have you tried Metallic Pomegranate before? Do you love it as much as I do? 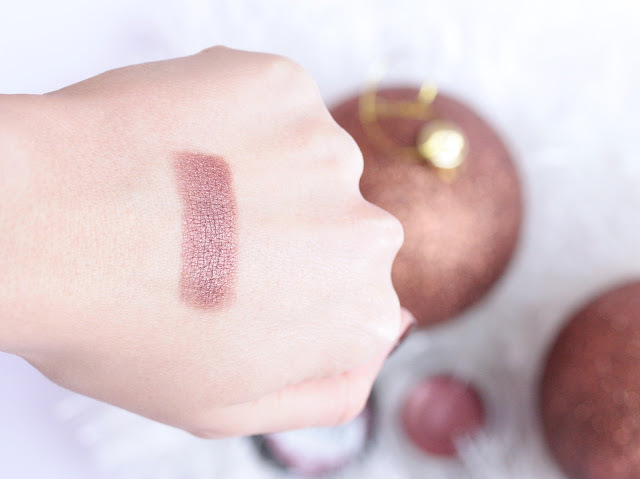 Ah I have a few of these now but not this shade, it's so gorgeous and would be a great base colour combined with mac cranberry packed on top to really intensify the colour. Super gorgeous! I love these little gems!!! I have the one in Rose Gold and LOVE IT!!! I wear it alone...as a base...almost every day! I just wish I could get hold of this color in Portugal!!! I saw it a few months ago in an american blog and fell in love...been searching for it ever since without luck...it's a beautiful color! This is gorgeous, I'm sure I have this and not yet used it - I'm changing that this weekend. I have it and love it as well! I also have green eyes and agree with you that it really makes them pop and I love playing up my eyes so that's a plus with the shadow. I love love love this stuff! Thank you for the post! Check out my blog? Thanks! I am now following you. Would love to try this colour, I have the one in On and On Bronze and use it so so often!! 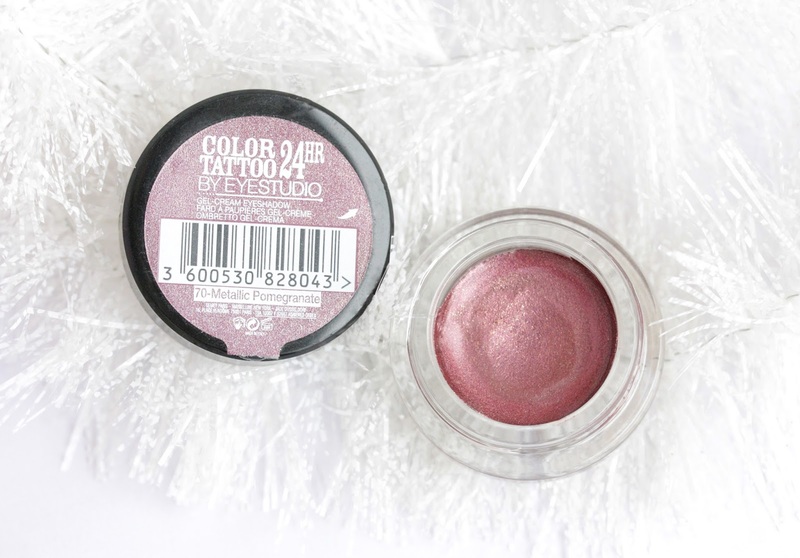 I love this colour and it's a great staple in your make up bag. 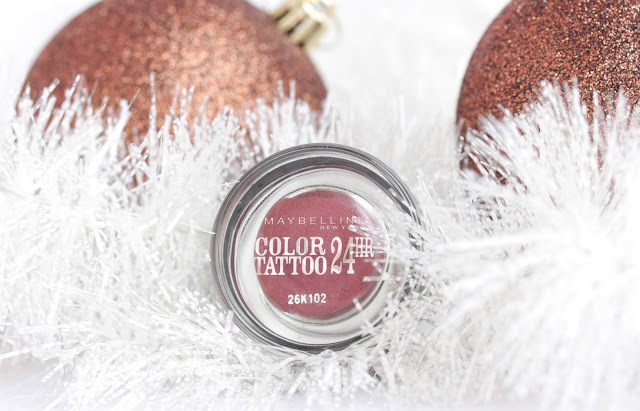 I did a review on the maybelline colour tattoos on my blog if you want to check it out. It's such a pretty colour, I've got Barely Branded and Eternal Gold but Eternal Gold is too patchy and drying to use :( Good to know Pomegranate's formula isn't the same as Eternal Gold! So desperate to try this, hopefully Santa has his eye on it too! Any recommendations for green eyes?